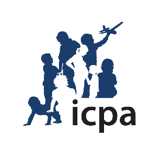 Anchorage, AK: Dr. Rebecca Fidler has completed the requirements needed to be officially Webster certified by the International Chiropractic Pediatric Association (ICPA) and is acknowledged by the ICPA as proficient in this specific chiropractic skill on February 4, 2018. Dr. Fidler will better serve pregnant women who are preparing for safer and easier birth outcomes. Dr. Fidler has undergone a written and a clinical exam for Webster Certification proficiency. This technique includes a specific chiropractic pelvic analysis and accompanying adjustment. The goal of the adjustment is to reduce the effects of pelvic misalignment and to restore normal function and balance in the pelvis. This certification enables Dr. Fidler to expand her range of care to individuals throughout pregnancy with excellence and in accordance with evidence-informed practice. “With the training and support of ICPA, I am thrilled to provide enhanced care for expecting mothers,” shares Dr. Fidler.